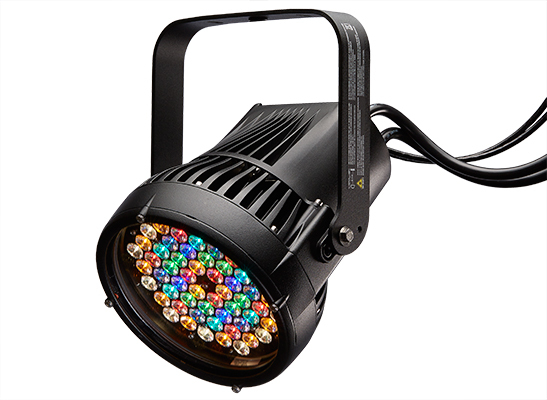 ETC’s Desire Series D60X brings the amazing control of the x7 Color System™ and the long throw of a D60 to a portable, IP66 rated fixture. This luminaire is ready for mounting inside or outside-wherever you need it. The Selador® x7 Color System produces the widest range of spectrally-balanced saturated and tinted color choices available. The D60X offers a rugged die-cast enclosure, noiseless fan-free operation and multiple lens options that can be changed on site. Ships With: D60X luminaires ship with a hanging yoke, secondary lens spacer kit, and attached DMX and power cables.